The number of Arab, Saudi people migrating continues to increase annually. The increase is due to several factors: one being an influx of Arab, Saudi students. However, the student population fluctuates annually making it difficult to determine the overall population of Arab, Saudi people. The Saudi Government encourages it's young men and often women to travel abroad for their education. Due to the rich economic situation in Saudi Arabia the government even offers grants and scholarships to help these young Saudis travel and attend colleges. A 2014 article in Arab News, alleged that 111,000 Arab Saudi students were in the United States. Due to the state of the Saudi Arabian economy, Saudis also migrate to the North America with the intention of staying permanently. 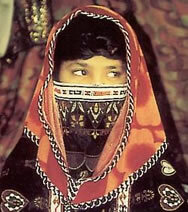 To keep their culture and traditions, Arab, Saudis will only marry an Arab, Saudi. It is very uncommon to marry outside of their own people. In fact there are serious consequences for women especially if they decide to marry someone from outside their culture. The majority of Arab, Saudi people are Sunni Muslim and make very few exceptions when living their lives. The most noticeable change is that men tend to adopt western fashion but will return to their more traditional dress when they attend meetings or celebrations at the mosque or other more formal events. On the other hand, women almost always wear a head covering and although they will adopt some form of western fashion it will be worn in a very modest way. Pray that evangelical churches would reach out to Arab, Saudi students before they return to Saudi Arabia. Pray that God would reveal himself through dreams and other means to Arab Saudis. Pray for evangelical Christians and American university students to develop a burden for Arab, Saudi people..